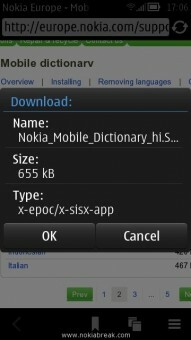 Adding language to the Dictionary in Nokia Belle is very easy task only if you know how to do it. 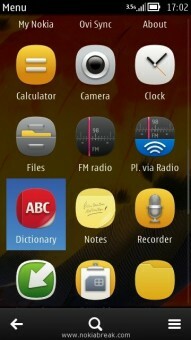 Today, we are going to guide you how to add more language in Dictionary in Nokia Belle, Anna and Symbian Phones. 1. 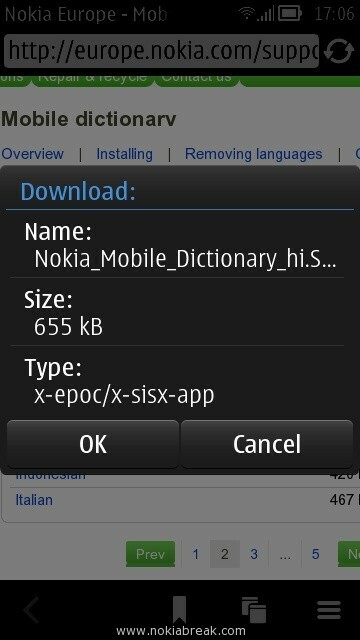 Open Dictionary in your Nokia Phone. 2. A Popup will appear saying “Only English installed. 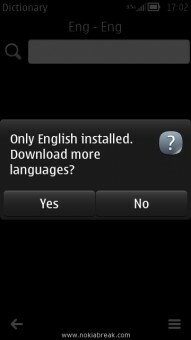 Download more languages?” Tap on the Yes Button. 3. 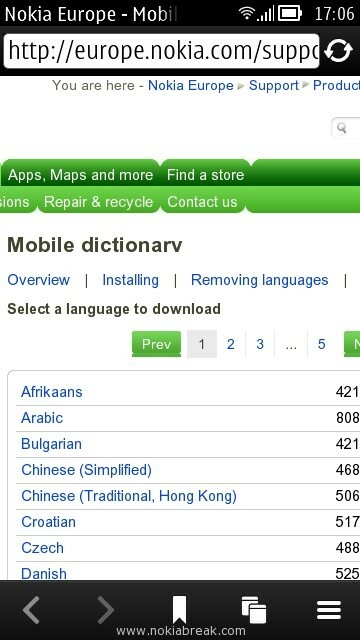 Once you clicked on the Yes button, it will redirect you to Nokia Browser and will open Mobile Dictionary Page. 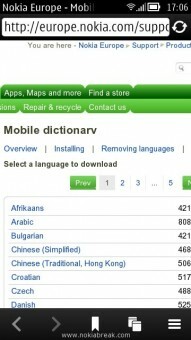 From where you can choose any language that you want to add in the dictionary of your phone. 4. 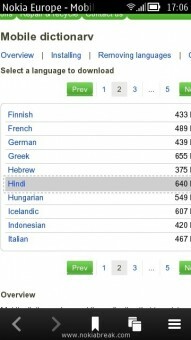 Select any Language from the list. 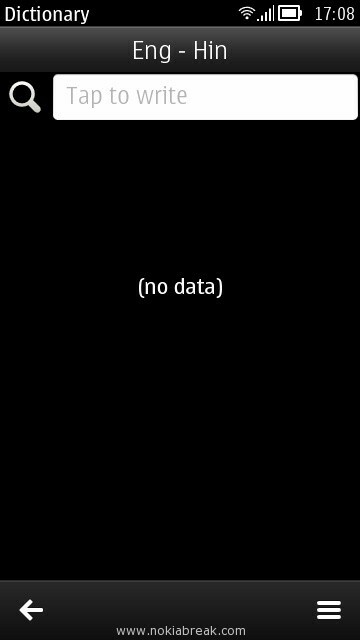 A download Dialog box will appear. Tap on the Yes button to start downloading your file. 5. Once downloading is completed click on the Downloaded file to install. 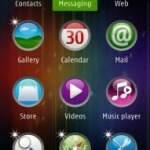 You can install it in the Phone memory or in the Mass memory of your Phone. 6. Once installation is completed you will see your language name shown beside the English language. 7. Now, you can search anything in the dictionary. You will get results in two languages, one in English which is default and another in the language you have installed in the dictionary (For ex. 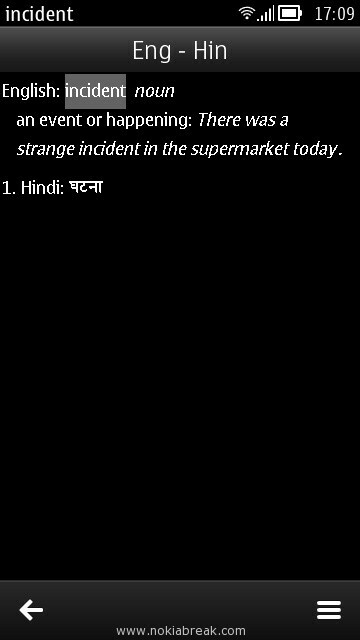 we have installed Hindi language support in the dictionary, so we are getting our results in Hindi language too. Below is the screenshot). 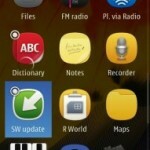 You can install many language to the dictionary of your phone according to your need. 1. 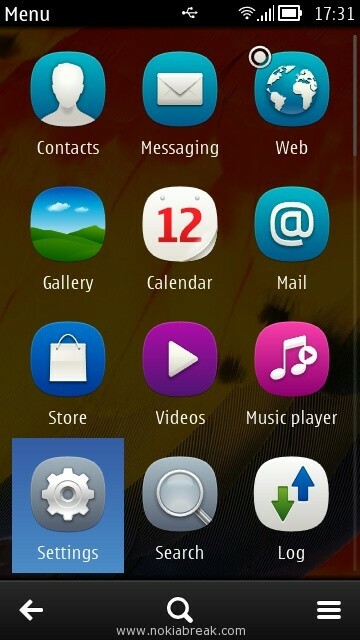 Simply, Tap on the settings Icon from Menu. 2. Tap on the Installations. 3. Then Tap on the Already installed. 4. 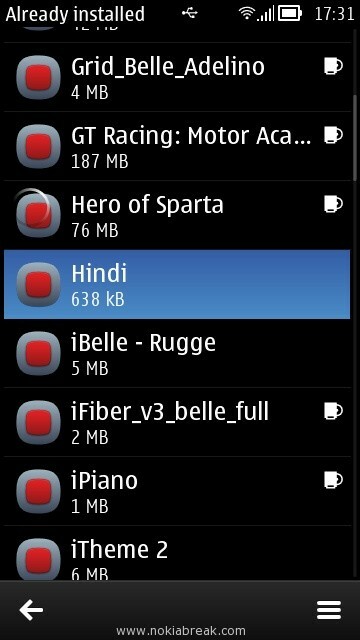 Now, choose the language from the menu to uninstall it. We have shared lots of How-to guides, you can browse them all from the Tutorials section. 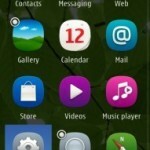 If you are looking for free antivirus application for your phone, then dont forgot to read the Best Antivirus app for Nokia article. I have a Nokia Asha 311 that i just purchased, and unfortunately the dictionary of the phone is not in English meaning like for example, i will look for a meaning of a word but i cant understand the meaning because its in Chinese and there is no option in the setting to change the dictionary language to English yet the language of my phone was already set up in English. How can i change the language of my dictionary to English because i cant use it right now? Thank you and hope to have your quick reply. when I try to Turkish language download for my nokia 700, open a page is write costumer product and say select ur phone. Then i find my phone after click download something. And aay pass certificate. I can’t find the languages page. Can anyone help?